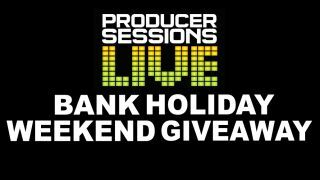 We've got 20 entry tickets to giveaway to Producer Sessions Live for this weekend only! Producer Sessions Live is our massive live event for hi-tech musicians and DJs, brought to you by Future Music and Computer Music magazine, running on 7 and 8 September in London and, for the first time, 28 September in Manchester. The show will be packed with seminars and masterclasses from pro producers, with the opportunity to get hands-on with the latest music gear from a range of the biggest companies in the industry. The event will feature masterclasses with the likes of Luke Solomon, Shadow Child, Nu:Tone and more, plus all the latest gear from our exhibitors. The competition closes Tuesday 27th August 2013. Please note your entry ticket will only give you access to venue, exhibitors and the after party, not the producer sessions lectures. You can grab producer sessions lecture tickets separately, at £7.50 each, from the Producer Sessions Live site.